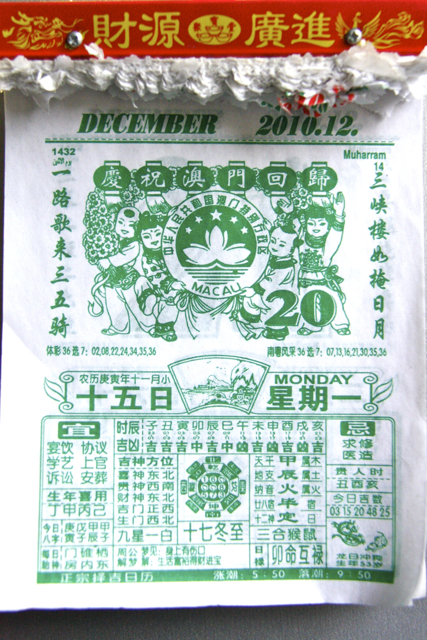 Life on Nanchang Lu: 25 Days of Shanghai Christmas: Dec 20 Stuck For a Gift? Give a Hong Bao! 25 Days of Shanghai Christmas: Dec 20 Stuck For a Gift? Give a Hong Bao! Can't think what to get someone special for Christmas? 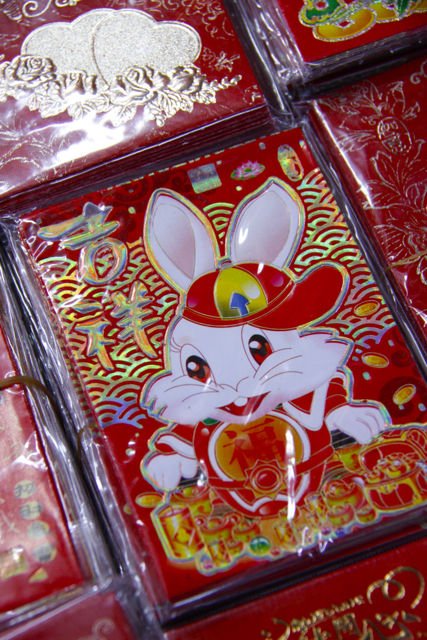 Don't stress, follow Chinese custom and give them a big red hóng bāo 红包, a red envelope filled with cold hard cash. Isn't it interesting, that we describe cash like this, suggesting it is emotionless and impersonal. Giving cash in China has none of the negative connotations we ascribe to it, in fact, for most people it's far preferable to have a hong bao than a gift. I mean, a gift is really risky isn't it? What if the recipient doesn't like it? But everyone likes cash! Giving out hong baos must be the most stress-free way to complete your Christmas shopping, but personally, I've found it very difficult to give hong baos - it goes against the western tradition of gift-giving I grew up with and it feels thoughtless and uncaring. Eventually it took a story about a friend's Chinese mother-in-law to finally convince me it was OK to give hong baos. Last Christmas he spent ages laboriously making her a hand-made card, to show just how much he respected her and how highly he thought of her. She opened the envelope, pulled out the card, and after looking at it for about a nanosecond went back to the envelope to make sure she hadn't missed the cash inside it. 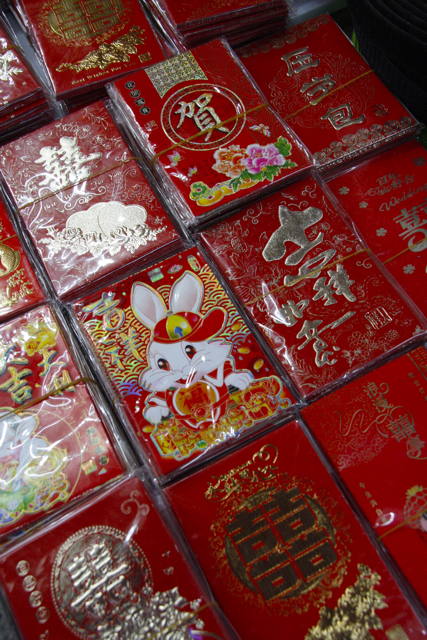 As his wife explained, she would rather have had a hong bao than a hand-made card any day. There are a few rules to observe though. Hong baos are appropriate for birthdays, weddings, Chinese New Year, and Christmas, if that's your thing. Your cash should be in crisp new notes, bank fresh, and whatever denomination you can afford, multiples of four are bad luck (the word for four is similar to the word for death), multiples of eight are really lucky, and rounded numbers are preferable. So 800 yuan would be the perfect gift, but 40 yuan would be like a double slap in the face. 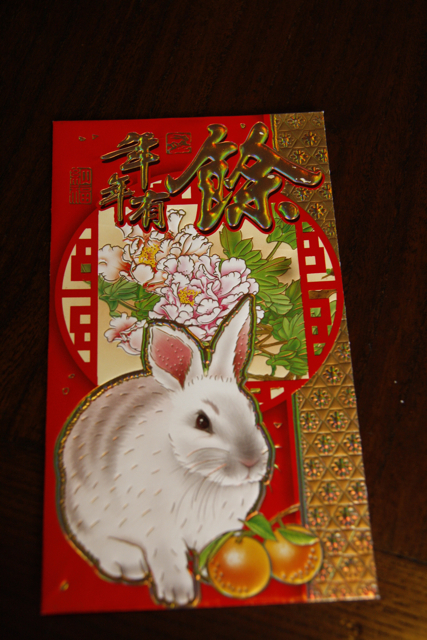 And because next Chinese New Year (peak hong bao giving season) is the Year of the Rabbit, rabbit themed hong baos are popping up everywhere. Whatever design you choose, stuff it with money and then hand it over. Recipient stisfaction guaranteed.